Just had the Tall Ships Race in Stavanger ,here are a few pictures from when they sailed out of town on their way to Harlingen in Holland. Are those glazed windows in Bruvik’s hull sides? That last image nails it. Another veteran that is seen here regularly, since she is still serving in Hurtigruten. A veteran boat meet in Bergen has just completed. Sheerleg crane UGLEN was in town for crew change on her way to Hammerfest for her next job. I have worked with the Uglen a few times and different places, but remember especially an operation in the summer of 1984. On the opposite bank is/was a popular park where a lot of people had congregated to watch the spectacle. To get the boom in the right position on the barge the Uglen had to turn, causing the tip of the boom to swing over the canal front and well into the park. It appeared that people in Tonsberg was well drilled in lifting safety, since they scattered to higher ground, away from the danger zone. A booming warning in his most commanding voice from the Captain of the Uglen MAY have helped to get them moving though. More veteran boats regularly seen here in Aalesund. Here is one of the old school local boats carrying passengers and goods to/from islands and isolated villages in the fjords until abt. 1970’s. She is now offering trips for tourists and charter trips for company gatherings etc. Parat III used to run between Aalesund and Langevaag for a number of years, carrying passengers to town for work and school in the mornings, together with milk destined for the Dairy, and back home in the afternoon. She was replaced on this service in the early 1970’s and served for a while as “Gripruta”, to/from Grio Island off Kristiansund. Another veteran that I knew well in my young days is “Brannsproyta”, the old Fire Boat in Aalesund. Her main job now is participating in Veteran Boat festivals and greeting Cruise ships that wants to pay for a bit of show. One more veteran boat that is stationed here in Aalesund is the very suitably named “Bilfergen” (“Carferry”) Built 1921 58’ Loa. 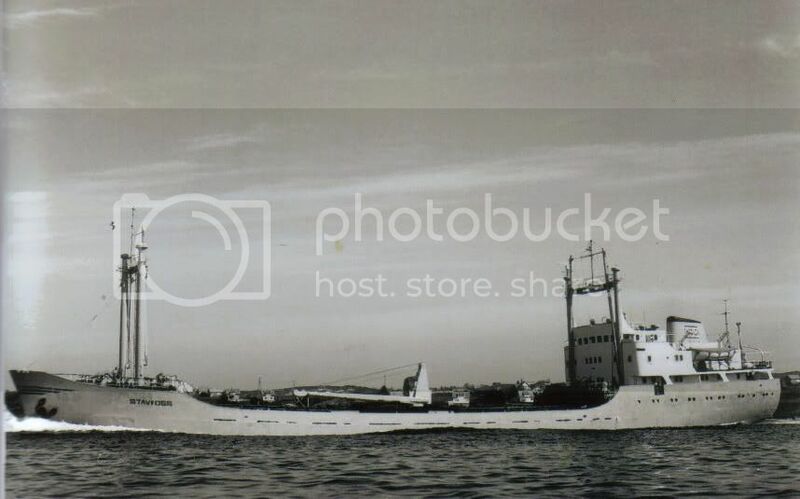 She was in active service as a car ferry until 1972. She was the first vessels in service in Norway purpose built to carry cars by the RoRo method. Cars were loaded transverse over the sides. The large doors allowed cars to drive through. The original Bolinder semi-diesel engine made in 1916 is still installed. She was originally built for the US Navy during WWII, but converted in Norway in 1947. PS> Built as Mine Sweeper in 1944. In 1972, she was rebuilt and was named “Compass Rose III”. On April 7, 1975 all contact with the ship was lost, but search was not initiated before April 15th. Then fishermen had the day before found a casualty accidentally in the area. Nothing more was found, and the 18 crews aboard had died. Nobody was Norwegian. I left the Blink after two trips to attend Aalesund Maritime Collage from 1962 - 1964. During school holiday in 1963 I joined another small ship as Bosun. Not many ships has been sold twice between the same two Owners. Finally, sold to a Colombian owner and re-named Don Nicky in 1974. She was involved in a major dispute with Colombian drug lords and arrested by US Customs. The Owner got shot and the case between the family and US customs is not yet resolved, as far as I know. She “hit an unknown object” and sunk in pos. 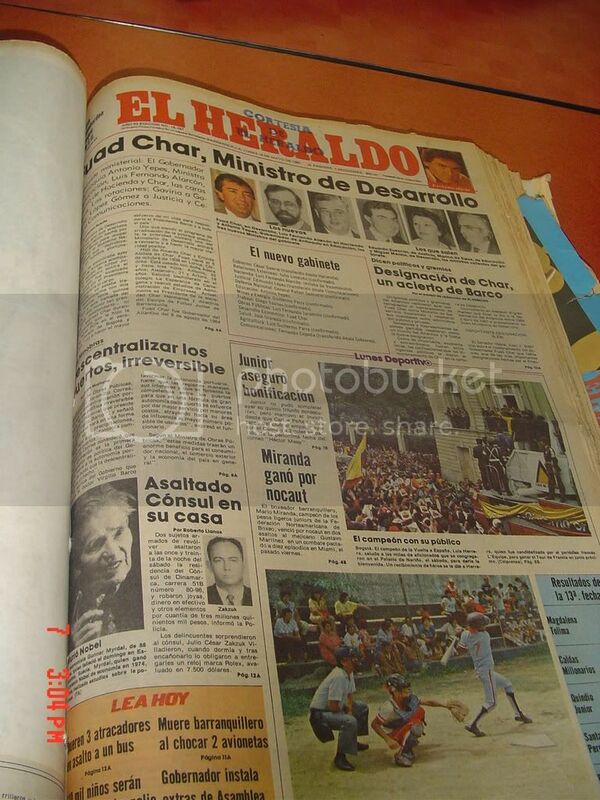 6.19N/77.32W in 1985. Maybe someone here know something more about the Dona Nicky and her faith?? This is a corrected FOIA request; the first, sent January 21, 2008, was missing my birthday. See reference number above provided over the phone to us by your office. My name is Yolanda Marina Zakzuk Pena, born January 21, 1949 and a US citizen. 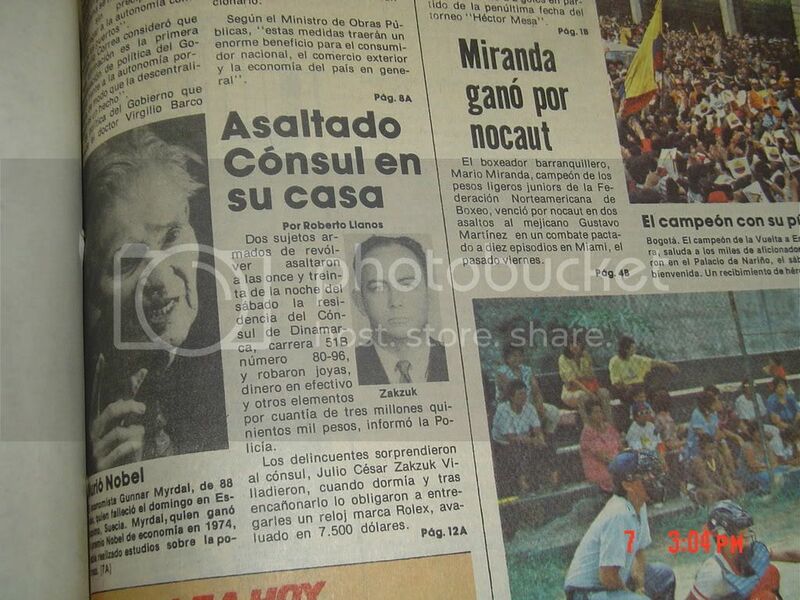 The information I seek, under the Freedom of Information Act and/or Privacy Act, are records related to our family business, Maritimas Internacionales Limitada, a shipping concern based out of Barranquilla, Colombia, headed by my deceased husband (please see attached death certificate and its English translation) Julio Cesar Zakzuk Villadiego (born February 18, 1926). Our company owned, from 1970 onwards, 3 Panamian flagged motor vessels which made regular calls at US ports: the motor vessel (m/v) Don Alejo, m/v Don Julio, and m/v Don Nicky. I am requesting copies of US Customs documentation related to our ships’ US visits, from 1976 onwards until the May/June 1988 visit of the m/v Don Alejo to Port Arthur, Texas, where is was seized and forfeited by the US Customs Service. Our ships regularly visited such ports as: Jacksonville, FL, New Orleans, LA., Tampa, FL., Miami, FL., West Palm Beach, FL., Galveston/Houston/Port Arthur, TX. We specifically seek documentation related to the incidents our ships encountered after the creation of the black market in illegal drugs by the US Congress; issues such as the lower ranked seamen smuggling small quantities of cocaine into the US onboard our ships and the unjust fines levied upon our company, Maritimas Internacionales Limitada, when these men were caught while going on shore leave. We seek all documentation related to the recruiting of my husband, Julio Cesar Zakzuk Villadiego, and our ships, by US Customs Tampa Agent Victor Thompson (somewhere around 1982-1984) at the US Customs Service Tampa office. Our 3 ships were outfitted by US government transponders and undercover US Customs officers were assigned fictitious posts onboard, included on our payrolls as cover for carrying out their Congressionally mandated task: interdicting narcotics. My husband was also directed by US Customs Tampa Agent Victor Thompson to engage drug traffickers in Colombia, trick them into placing drugs onboard our ships, and later assist in their arrest in the United States as they showed up to claim their narcotics. These operations went on for years until one of the US Customs undercover agents onboard our ship was discovered to be an informant and, with his cover blown and at risk of imminent assassination, knocked on our door in the middle of the night one step ahead of his would be assassins. My husband had him whisked out of the country by his sons. This incident brought to a close the pro-active cooperation onboard our ships leaving my husband with dozens of enemies and Mr. Thompson with a chest full of medals. We seek all documentation relating to this cooperation provided, every last detail. This incident led to our exile to Miami, FL., and the loss of control of our ships. During our exile, the emergency ad-hoc management left in place misused our ships, that id true, but we can provide information which proves our innocence, which was what should have been allowed to be ascertained in a court of law, as any decent law abiding country which respects Due Process required. 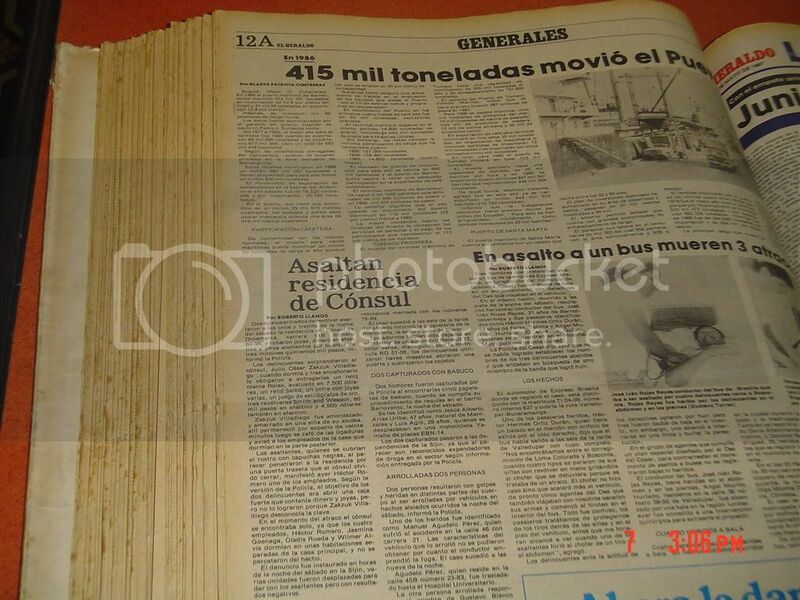 We seek documentation related to the seizure and forfeiture, whether administrative or judicial, of the m/v Don Alejo during its visit to Port Arthur Texas in June 1988. We also seek documentation related to US Customs Agent Victor Thompson requesting the United States Department of State to cancel my husband’s and my US visas while the forfeiture process was ongoing denying us Due Process. We seek copies of all documentation of the US Customs Internal Affairs investigation prompted by my husband’s letters to then US President George H.W. Bush, including copies of the letter itself should US Customs have one in its possession. 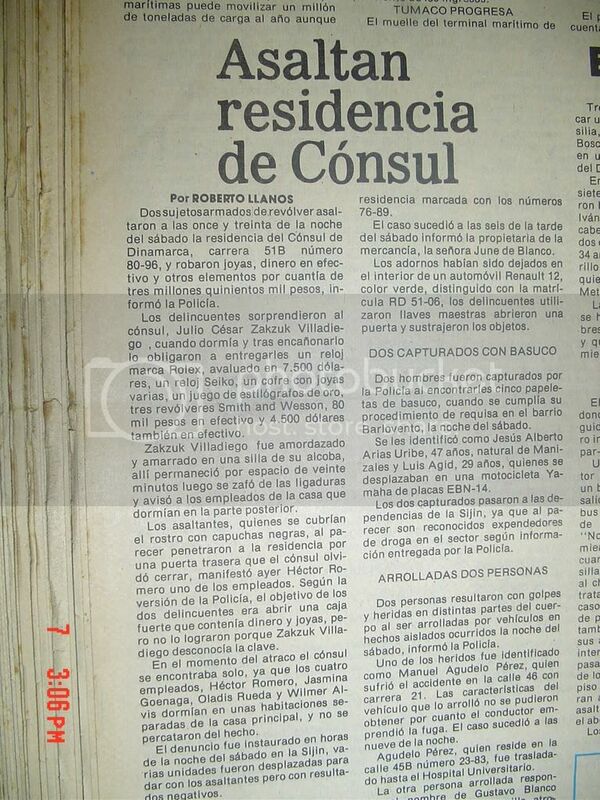 We seek copies of all documentation created by the investigation and subsequent meeting in Curacao between my husband Julio Cesar Zakzuk Villadiego and US Customs Internal Affairs agents, including whatever review they completed along with their conclusions for denying our family, this family that was destroyed by your fake “war” on drugs, any relief. Which brings us back to our last request: subsequent to the seizure, cancellation of our visas, forfeiture, either administrative or judicially, US Customs, instigated through the Dept. of State a witch hunt against my husband and his good name in Colombia. Why a federal government agency, claiming the pursuit of justice as its stated objective, did not arrest us and try us when we were here in the United States after the seizure of the ship attempting to get legal counsel, if it had an accusation to make against us why did they not arrest us and give us a trial as any nation that claims to follow Due Process would have done. No, they just wanted our ship and then went on to smear our good name; a reputation built over 40 years as honest ship-owners, because they could get away with it, because my husband did not speak English and was a foreigner with scant knowledge of how things really worked under the so-called “war” on drugs, with all the out of control and corrupt politicians sponsoring this black market for them. Not even 6 months had passed from the cancellation of our visas than the US Consulate in Barranquilla “bestowed” a recognition as leading ship-owner in Colombia to a friend of my husband’s with a much smaller shipping concern of much less trajectory, in order to deflect attention. We seek all documents that mention my husband and I, or our ships, under any alias, in any databases or archive system in any format held. We are willing to pay any amount in order to obtain copies. This letter smells fishy. The writer claims to be a US Citizen and also claims that the Dept of State canceled her visa. US citizens don’t need visas to enter the US. Visas are issued to foreigners giving them permission to enter the US. Besides it does not say they lost their visa, only that it was requested.